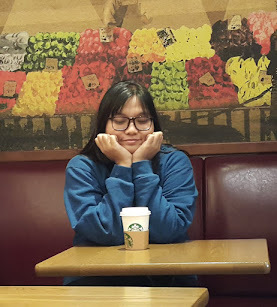 Like the shops I see in Korea, the Tony and Jackey salon gives that luxurious feel that every girl who wants to be pampered would be happy to experience. The place is well-lighted, spacious and minimalistic at the same time. I can comfortably accommodate about 20-30 people at the same time which is a good and efficient feel for the customers. I first had a reddish brown hair color treatment and they used L'Oreal Color for it. The treatment only requires applying of the cream and heating of about 15 mins. Their senior Korean hairstylist conducted the application with the help of one Filipina hairstylist. It's a good thing that aside from the robe, they also put on some plastic mask protection to avoid face irritation and hair color to drop on to my face. Afterwards, it has been cleaned off and the Muccota treatment followed right after. It is a repair treatment system that focuses on helping the hair to recover from damages and at the same time, provides freshness and shine back. - This helps repair the dry and unruly hair by providing a lot of cleansing ingredients. Good thing, there's nothing to worry as it is hair and scalp friendly. Removes unnecessary chemicals in hair and maintains PH level. According to the stylist, it removes other chemicals that have been stored on our hair because of everyday shampoo and conditioner. This is the stage that prepares your hair for the treatment by balancing the necessary moisture needed for the next step. The Scena Brava contains five kinds of hair repair elements that help repair various hair damages. Keeping your hair in good shape, Calore seals hair ends and adds silky texture for that crowning glory! Lastly, this gives the hair flexibility, moist and soft texture allowing your hair to maintain its good shape for a long time. Additionally, they'll end the great experience with the styling that you want! 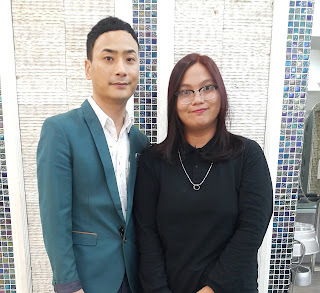 I had a chance to take a photo with their Korean senior stylist! Yup, Tony & Jackey has been known for having well-trained staffs and Korean hairstylists. 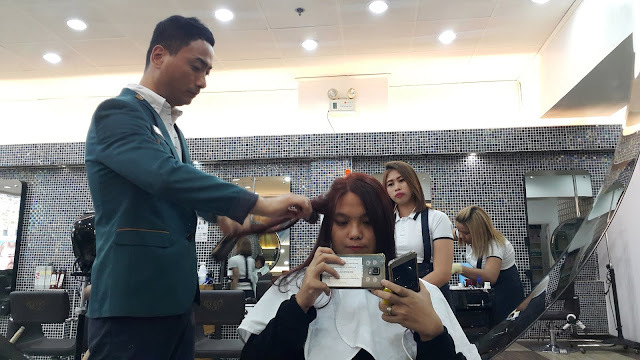 During the time that I was in the salon, there were about five of them working at the same time and about five Filipina stylists helps them too. 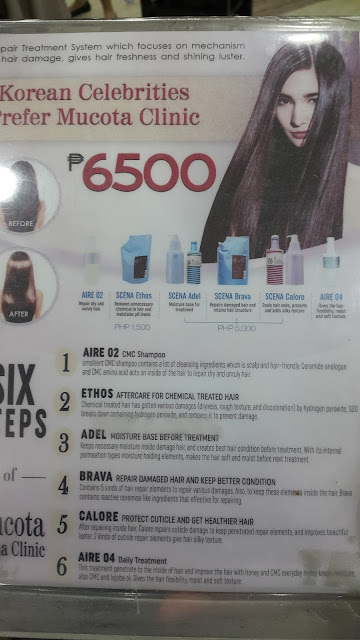 ♥ The Korean Mucota Scena Treatment is at P6,500, totally not bad for the benefit of having silky hair! ♥ Currently, they have a promo that when you avail their L'Oreal hair color treatment and mucota scena and haircut, for only P4,999 pesos. (If prime color, it's at P3,999 only), With the packages, you can save about 33% from the original price.